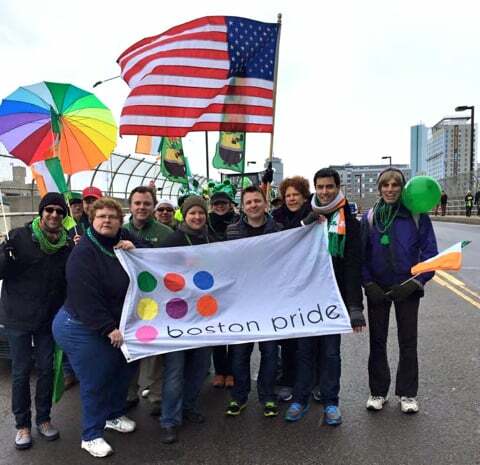 Two LGBT groups marched in Boston's St. Patrick's Day parade on Sunday for the first time in the event's 114-year history. OutVets (below right) and Boston Pride (above) were both invited to participate, ending a two-decade ban on gay groups. "I just remember watching the parade and kind of thinking it was hopeless, that my entire world was against me," said Murphy, a Dorchester neighborhood native whose father was a Boston firefighter. "This is why I'm marching today." Also marching in the parade for the first time in 20 years was Boston's mayor. Mayors had boycotted the event every year since 1995, when the U.S. Supreme Court upheld the right of the Allied War Veterans Council, which organizes the parade, to keep gay groups out. The War Veterans Council voted 5-4 in December to allow OutVets to participate, and Boston Pride received an invitation last week. Mayor Marty Walsh was joined by Gov. Charlie Baker and Congresssman Seth Moulton, who marched with OutVets. 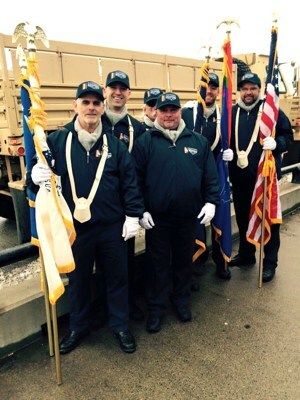 Knights of Columbus, the anti-gay Catholic group, boycotted the parade over the decision to allow LGBT groups. In New York, Mayor Bill de Blasio is boycotting the parade because only one LGBT group will be allowed to march.